Maria’s journey with Hatha Yoga started four years ago when her when her husband enrolled her for a session. ‘The practice has so much precision, so much attention to detail and takes you inward’ she explained. It left a lasting and profound impression on her mind. She decided to make it her life’s mission to practice and share this knowledge with the Yoga Systems – Hatha Yoga School. “During the courses with SadhGuru, I was also developing a spiritual attachment as well because listening to the guru, I realized life is not just about comfort. I know at some point I’m not going to be able to sit in the office and do something. I also saw that I wanted to become healthier, so I thought I had to do something now in this step. There could be something more, you know”, she said with enthusiasm. This fueled her motivation to start her journey at the ashram of Isha Foundation, where during a retreat in 2017 all her questions were answered. 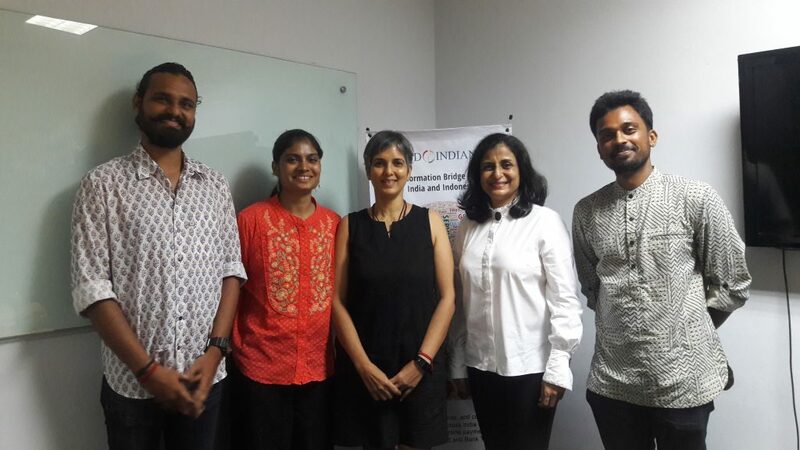 She then decided to take the bold step into the unknown to create a yoga platform, Hatha Yoga School in Jakarta, and she received support from her friends and blessings from ISHA foundation. Maria shared that traditionally taught one to one by guru to their disciple. However with time, it was taught to large groups of people, and this diluted the tradition. Hatha Yoga is particularly special because it aims to teach classical yoga in its completeness and entirety. “This is perfect! Everybody wants come to Indonesia because it’s such a lovely country. 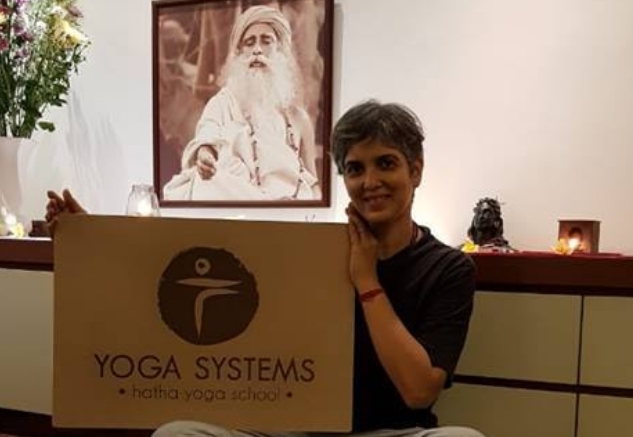 We’ll have a place where all my batch mates and even people from earlier and future batches can come and teach, people can have this vibe from this different teacher.” at the Hatha Yoga school, said Maria. Wake up without an alarm. Maria mostly wakes up from 4-5 o’clock. In fact, she made it a point not to use an alarm. Disciples were taught not to wake up with an alarm, as the body knows how much rest it needs. Have a routine to cleanse your system. After waking up, she would do a routine to maintain her body health. This is achieved by doing yoga specifically to cleanse our system-body, mind and energy system. Live consciously. This is such an important part that she felt that we should’ve learned these years before. Which is – to live consciously. Be aware of what we eat and the food that we put to our system. She declared that if she knew this years ago, it would’ve made her look much younger than she does today! Udaya Ravi: In my childhood days, my father practiced yoga into his household. That was the way in Mysore. In every household, people practice. I was also a classical dancer, so yoga became something that was imbibed. With that, things were at a balance. But with my shifting attention to career, I had to drop it on and off-thinking. But my career as a civil engineer in Dubai made me see another side of life. When things were getting bad, I started to think about it. The inward journey started there. At an Inner Engineering workshop with Sadh Guru, the experience of what I went through opened my mind. Now, I just want to bring in that feeling to as many youngsters as I could. As a hatha yoga teacher, I’m doing my best bringing it to college students, students and anyone who is willing to get into this path. Geeta Kumari: At school, we had these hatha yoga classes during grade 10, 11 and 12. Our yoga teacher-the way he conducted the classes and the changes that he brought in us really inspired me. As I grew up, I had a desire to learn it in its full depth and dimension. When I was looking for a yoga school, the curriculum at ISHA was exactly what I had in mind. Yugadev Raju: I started practicing hatha yoga from the age of 12. It has been a long time but at that time I didn’t feel yoga happening in me. I just know how flexibly oriented I was and what was good in general. It was when I studied aeronautical engineering, did I see yoga happening in me. I was moving from questioning and from seeing things as it is. So that was the big change that I saw. Afterwards I took it in my life as a passion and began to train with ISHA for 6 years. I left my job after a while and took Yoga as my passion for life. I wanted to explore this as another dimension. At first I thought, “how am I going to take it?”. But then I just took it. I was an aeronautical engineering now I’m here. Yugadev Raju (left), Geeta Kumari (2nd left), Maria Dsouza (centre), Poonam Sagar (2nd right) and Udaya Ravi (right).